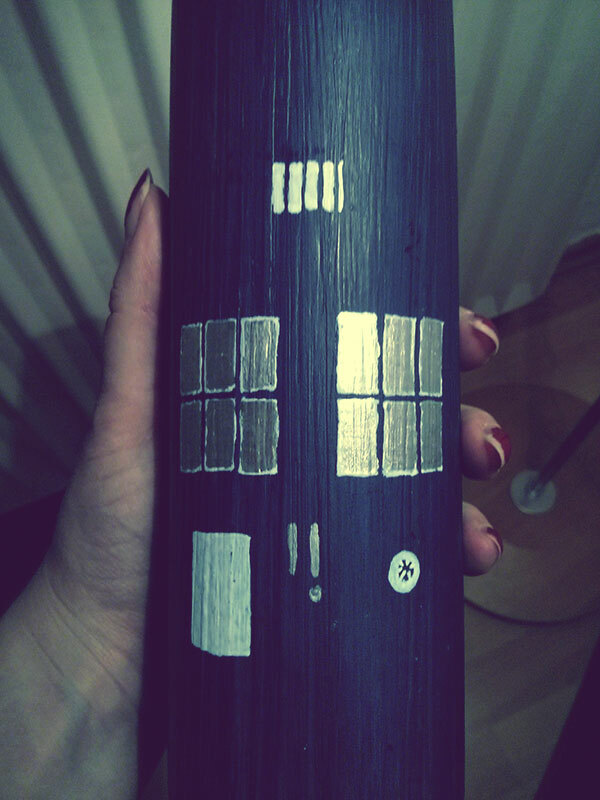 Happy New Year my dear Geeks & Geekettes! 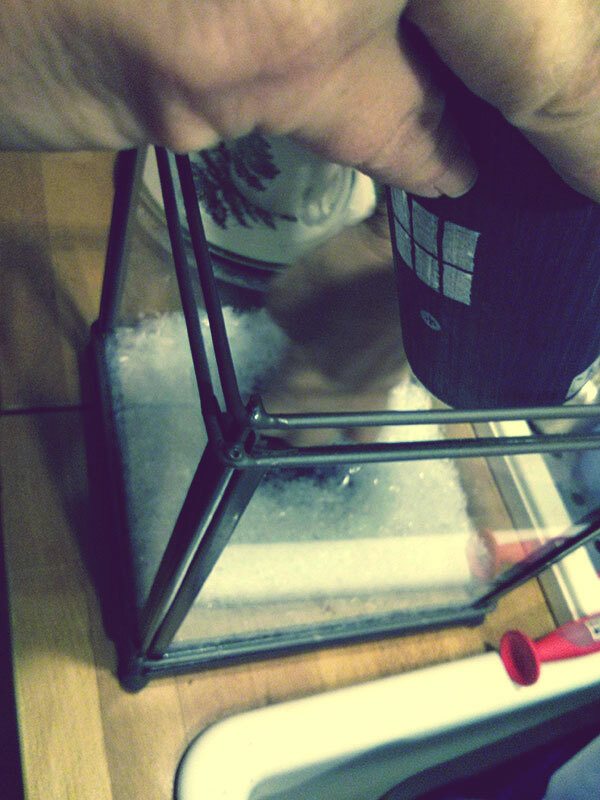 Now, that Christmas and New Years Eve are over, it is about time to get rid of mistletoe, Santa hats and confetti. But when you have, the place looks rather empty, doesn’t it..? 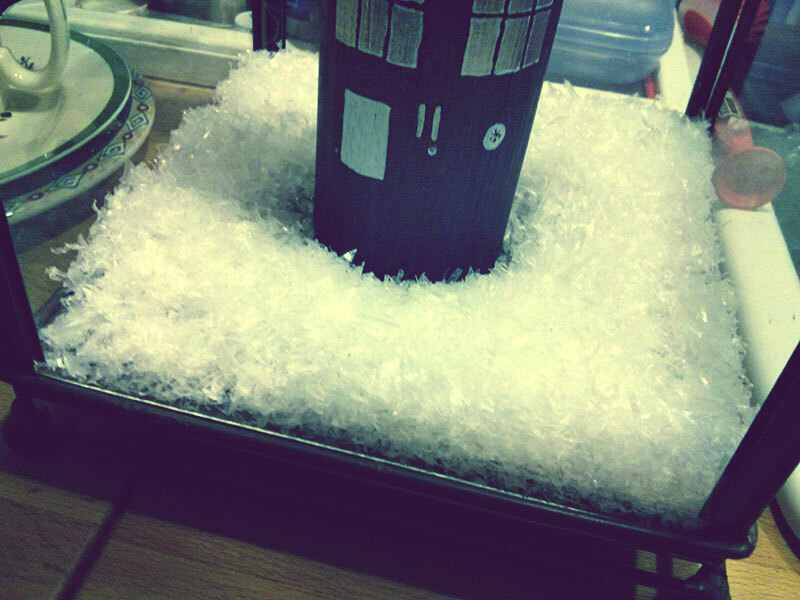 So I’ve prepared a little DIY winter decoration idea for all you Whovians out there. Now start by drawing the white outlines of the windows around the middle of your candle, so you can enjoy the motive for a while before it burns down. 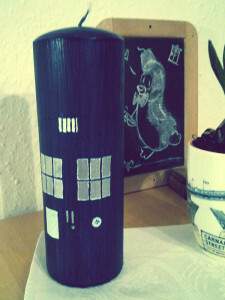 You can draw the windows all around, the Tardis has windows on all sides! I have also added the telephone instructions on the left and the St. John Ambulance sticker on the right, since it’s supposed to be Eleven’s Tardis. When the white lines are dry, you can colour in the windows with the silver pen. Don’t forget the door handles! Congrats, that was the hardest part! 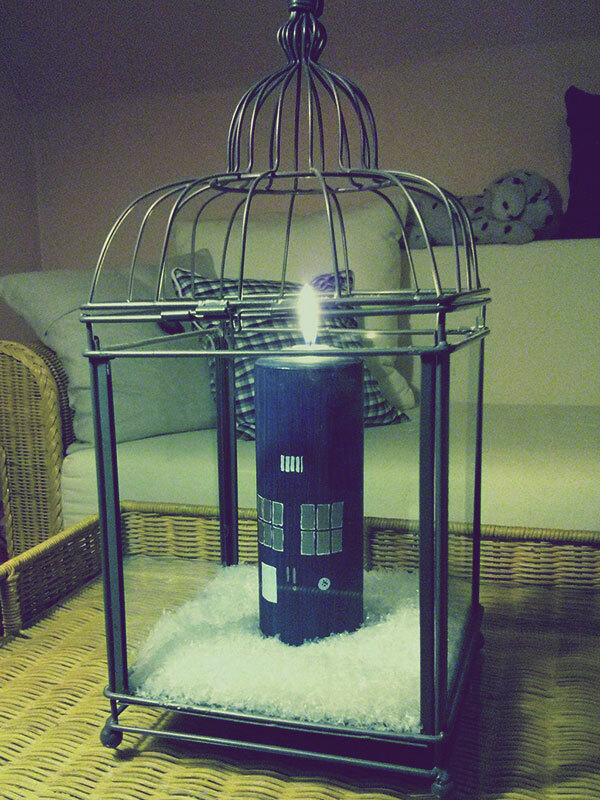 Now place your Tardis-Candle in the lantern (or on a plate) and let it snow! There you have your own little Whovian Winter Wonderland!